The Missive Maven: L'Shana Tovah / Happy New Year! Rosh Hashanah, the Jewish New Year, is one of the most important Jewish Holidays of the year - and thanks to scheduled posts, I've written this post ahead of time and timed it so that it will post at the beginning of Rosh Hashanah/Friday sunset, while I'm in synagogue. To commemorate this joyous occasion, I'm sharing with you a few of my favorite handmade Rosh Hashanah cards from etsy. 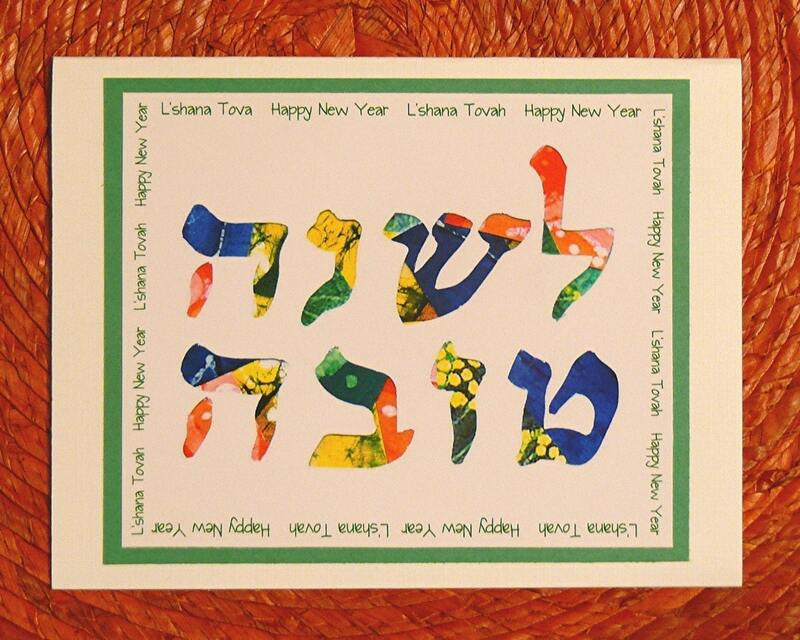 Above we have Jewish New Year Cards by SusanItkinBatik. In the middle it shows the Hebrew in colorful lettering, and around the edges we see both a translation and a transliteration. 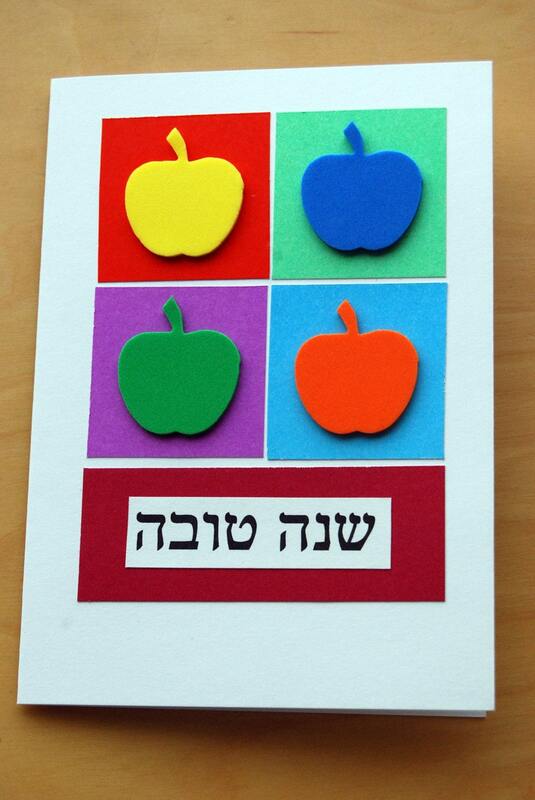 Next, sporting some colorful apples, Shana Tovah Warhol Apples cards by ooliecards. 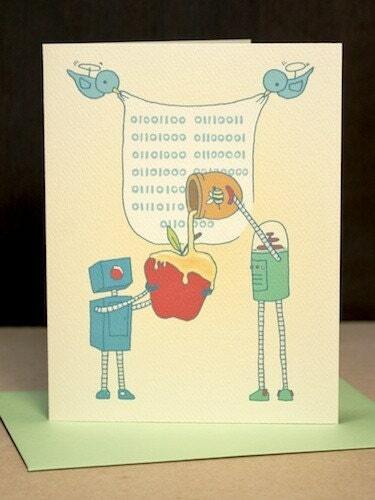 Finally, we end with a little robot humor with the Robot Rosh Hashanah card from lrhbindustries. Wishing all my blog readers joy and peace this Rosh Hashanah. The little robot birds on the last one are adorable. 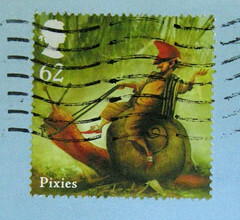 Thanks for sharing Ilona & looking forward from hearing from you in the mail soon. Isn't this the holiday with the feast with raisin challah and honey cakes and tzimmes (did I even spell that right)? Funny how every holiday I remember it is the food that sticks in my mind. I hope as your new year begins it is full of joy. Oh - and thanks for your good wishes, everybody. Happy New Year! May you be inscribed! Why didn't I think of Etsy for cards, silly me. I'm still fussing around here trying to make some. I always run late. If you interpret the binary on the robot card as ascii, read left to right, it translates to "Mshahah tvh" or maybe "Mshahah tv'" depending on whether it's a 0 or a 1 hiding behind the stream of honey. :) Not meaningful I guess, unless it's Hebrew? Thought Hebrew is read right to left, if I remember, so that would make this "sMahah htv`" or "sMahah htvh". Chris - I don't know binary code, but if you switch the M to an L, it's very close. Hebrew has very few vowels and in most cases they're assumed. Yes, Hebrew is read right to left. But is binary? Part of the schtick is that the binary is indeed supposed to read L'Shana Tovah.